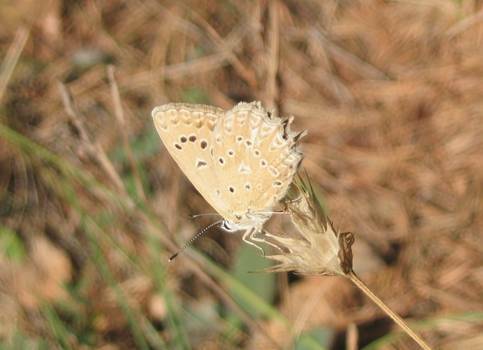 This is an interesting blue species which flies locally in parts of central/southern Europe and possibly more commonly further east. 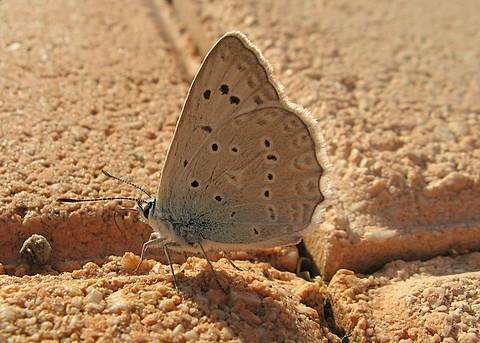 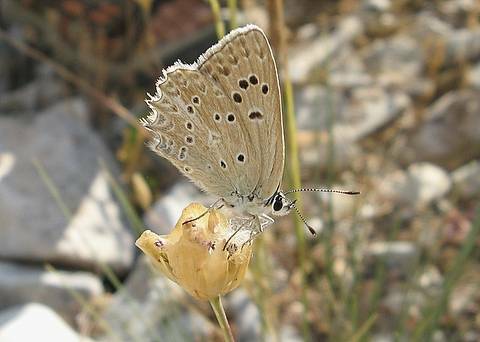 The female is particularly distinctive with the pronounced scalloping around the hindwings, quite unlike any other blue butterfly in Europe. 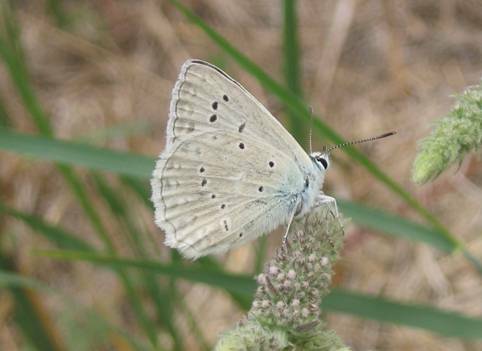 Whilst she may be blue or brown (form steeveni) my friend Guy Padfield has photographed this mixed specimen in Switzerland in 2005. 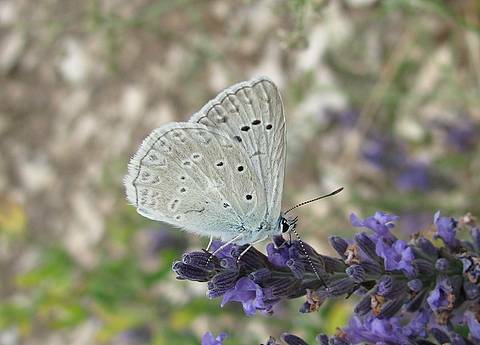 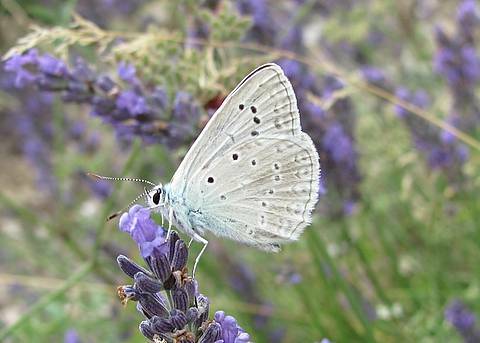 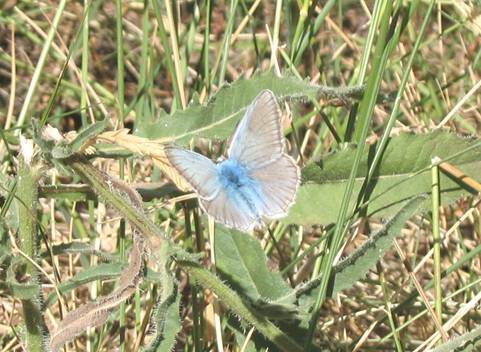 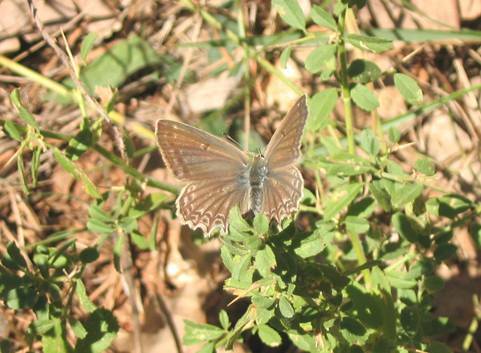 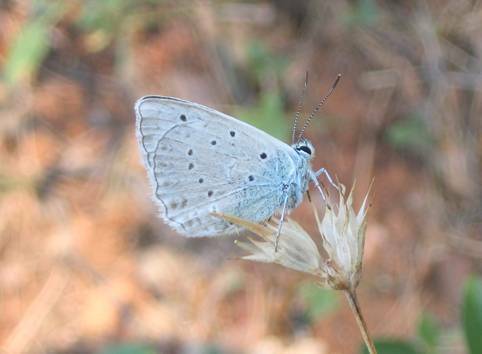 The butterfly is fairly large and at first the pale undersides of the male in flight could cause confusion with a Chalk-hill Blue (Lysandra coridon), Provence Chalk-hill Blue (Lysandra hispana) or a Furry Blue (Agrodiaetus dolus) for example in some locations. 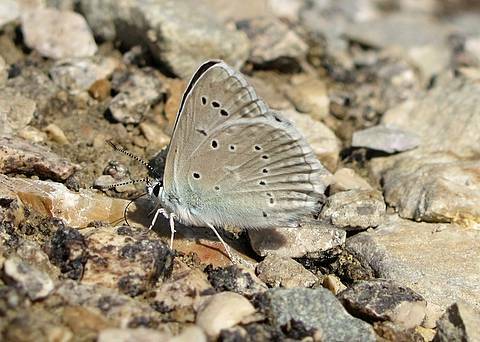 From the underside view the male can also be recognised from the scalloping on the hindwing though it is rather gentle with two little 'points'.